MoveRight is a federally licensed moving broker authorized by the Federal Motor Carrier Safety Administration (FMCSA). As such, MoveRight is not a motor carrier, does not own moving trucks and will not transport an individual shipper’s household goods, but will coordinate and arrange for the transportation of household goods through an FMCSA authorized motor carrier, whose charges will be determined by its published tariff. All estimated charges and final actual charges will be based upon the carrier’s tariff which is available for inspection from the carrier upon reasonable request. MoveRight will monitor your move from pick up all the way until your items are placed into your new home and will be there every step of the way to ensure a smooth relocation. MoveRight and its network of carriers believe in working hard to keep customers satisfied. Please submit your online request and become one of our happy customers today! 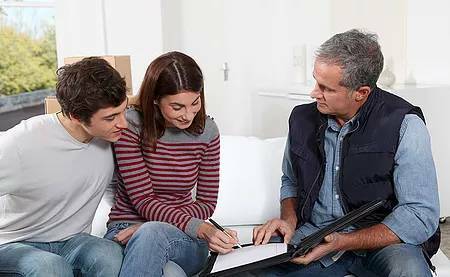 Whether you’re moving to the next state or across the country, MoveRight has dedicated itself to providing top quality service you can trust. With moving services provided throughout the United States, rest assured that your prized possessions will arrive at your new home safely and in the same condition as when they left. Not sure if we can cover your move? Our relocation agents are available daily from 9am to 6pm so contact us today with any questions or to receive a price quote for your move. I understand that deposits are non-refundable for moves cancelled or reserved within two (2) weeks or fourteen (14) days (Saturday, Sundays and Holidays included) of the first estimated packed or load date. Deposits will be 100% refundable with No Cancellation Fee or Additional Charges for moves cancelled outside two (2) weeks or fourteen (14) days (Saturday, Sundays and Holidays included) prior to the first estimated pack or load date listed above (whichever applies). I understand that if I change my load dates up closer than the original load dates, the cancellation policy applies to the new load dates. If load dates are changed to later dates, the cancellation policy applies to the original load dates. All cancellation and refund requests must be sent in writing via e­mail and/or fax to info@yourmoveright.com or Fax: 646-568-5575. Cancellation requests sent to MoveRight after normal business hours (6:00 PM EST) will be considered received on the following business day. All refund requests must be confirmed by MoveRight before refunds are processed back to your account. Refunds can take 5-­7 business days to reflect on your next statement. We received estimates from three other moving companies before we decided on Moveright. Our senior relocation specialist was very nice and helpful and went over everything on the estimate (even the fine print). A Crew of three showed up on time on our move out date and started working immediately. They wrapped everything to protect it from get scratched because they packed everything pretty tight in the truck. They even helped me re-pack a few of my boxes that were pretty much empty so I wouldn't be charged for additional square footage. When they arrived at my new apartment they unloaded very quickly and took the time to put items where I requested. After they were finished unloading the truck they cleaned up all their paper and excess wrappings. I have to say this was the most stress free move I have ever experienced. They know what they are doing and can make a difficult move seem easy. I agreed to use YourMoveRight as my moving service from Dallas, TX. to Las Vegas, NV. The person that I spoke with Eric Ercolano, who claimed to be a manager and part owner with the company. I advised Eric that I already picked a moving company and he convinced me to go with this company as they are the best in customer service, legit credentials and had a great rating on BBB. Eric was able to lower my rate for the move but it was still higher than the original moving company that I chose but I went with YourMoveRight due to the BBB and credentials he had sent me. I am sure that the service is great in regards to the movers handling my items for the move and getting them to the delivery address within a proper time, but this is my complaint: The quality assurance person who called me to go over the logistics and items for the move went over my inventory again and there were 2 items missing; my patio set and my nightstand for my bedroom, which caused the price of my move to increase. I sent Eric the entire list of my inventory via email and he failed to include everything on my list. Another caveat that Eric failed to mention was that I would need to box up my TV, add covers to my mattress/box spring and that I would need to box up my glass table tops for my coffee and end tables- Be mindful that I would need to put them in a box and that would increase the price of my move as well. 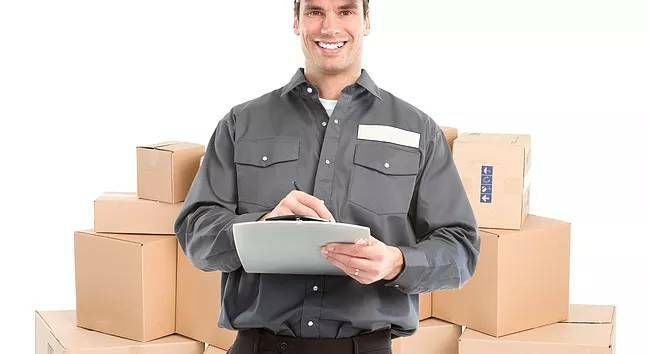 This move was to be as easy as possible with little to no labor on my part due to that I am extremely busy leaving my current position with work and making other arrangements for this move. When I wanted to cancel the reservation due to that it is out of my budget, which I told Eric that I have a certain limit due to my relocation package with my new job, the representative advised that if I canceled my reservation, I would not get my $500 deposit back due to that it is within the 14 days of my move, which was NOT mentioned to me when making my reservation. I have worked in the customer service industry for quite some time and when dealing with new customer you are to advise them of all the caveats, redlines and any disclaimers that is noted in the contract. Due to this missed communication, I am now FORCED to use the company and will end up paying more than what was originally agreed upon when making the reservation. When I called the customer service line to speak with Eric, the representative on the phone advised that Eric was just a reservation specialist but he told to me he was a manager/owner and woman would not even transfer the call nor let me leave a message. I set up a move for my uncle with these guys. They gave me the best price I could find and I didn't get hit with and hidden fees on delivery. I have moved 6 times in the past 20 years and it's always stressful but these guys made it a little easier. Much appreciated gents. Thank you. Had to move in two days , everyone's prices were Thru the roof . These guys gave me a good price and had great service with outstanding professionalism , TWO THUMBS UP!